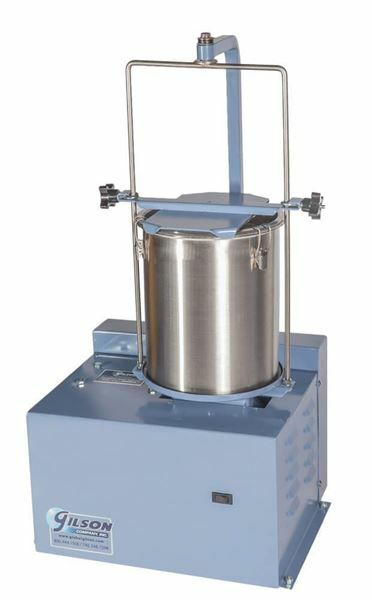 Durability Index Agitator - Gilson Co.
Durability Index measures the relative resistance of aggregates to producing clay-like fines when mechanically agitated in a special washing vessel. 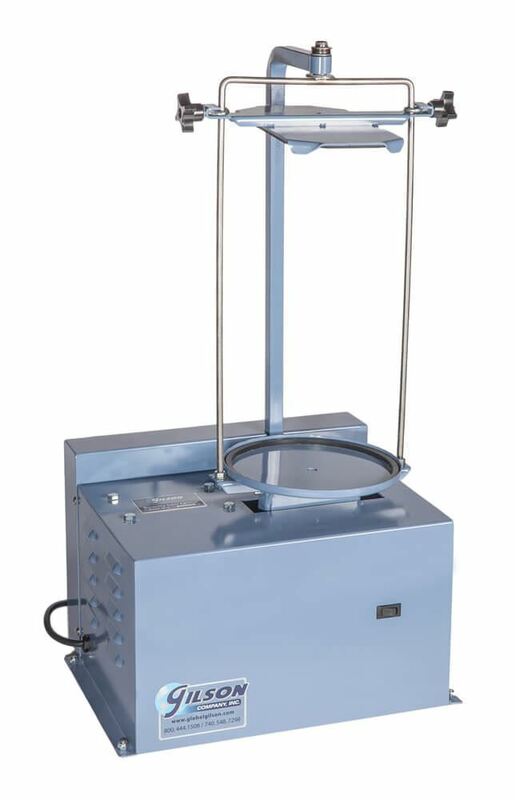 Resulting fines material is evaluated using the SEA-100 Sand Equivalent Apparatus, purchased separately. 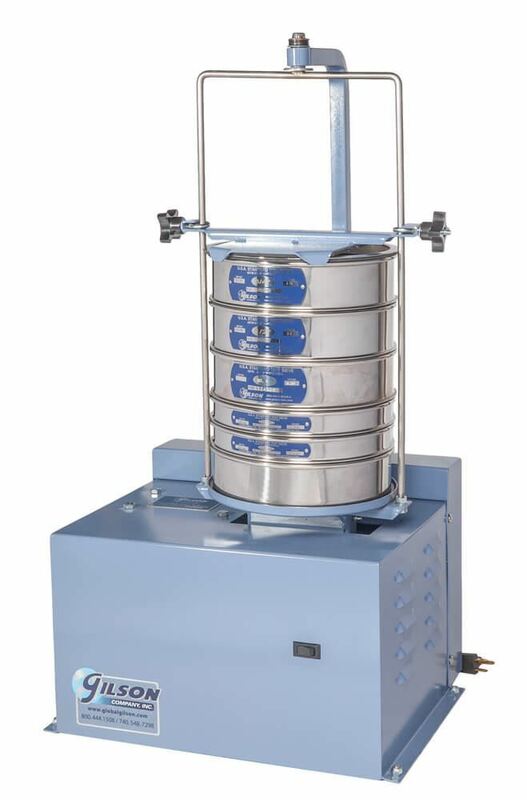 The versatile Gilson SS-18 Agitator runs at 285cpm, and may also be used as a sieve shaker for up to six full-height 8in or 200mm diameter sieves and pan. Holes are provided for securing flanges to the floor or a bench. SSA-22 Stainless Steel Washing Vessel is required to perform the Durability Index test and is purchased separately.